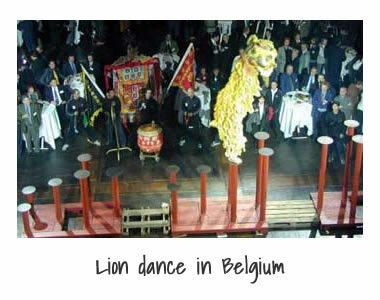 Somewhere around 1990 Sifu Jie started performing lion dances, next to the Hakka unicorn dance. 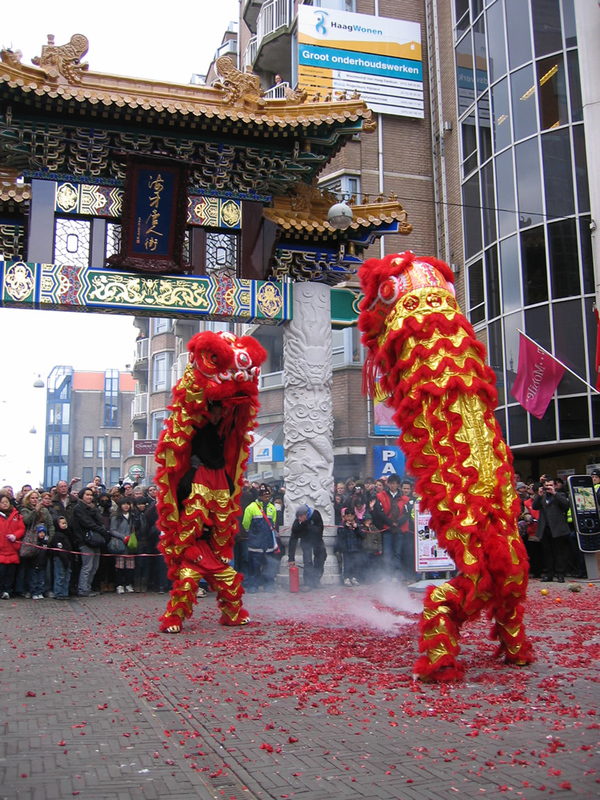 Later on video tapes with lion dance tournaments from Malaysia found their way to Europe. 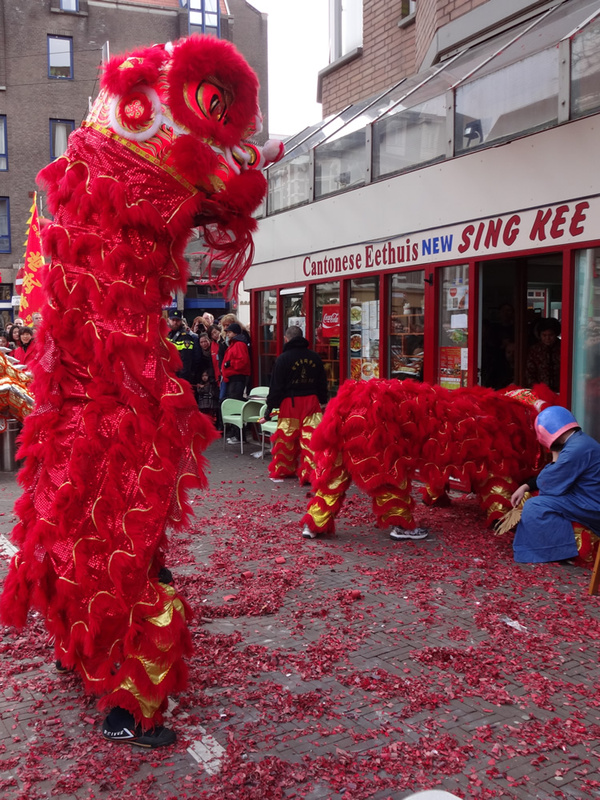 Lion dance has developed in a different way over there. 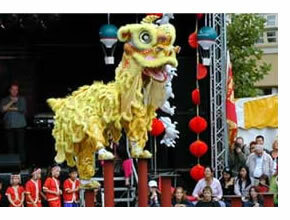 In Malaysia they played lion dance on high poles. 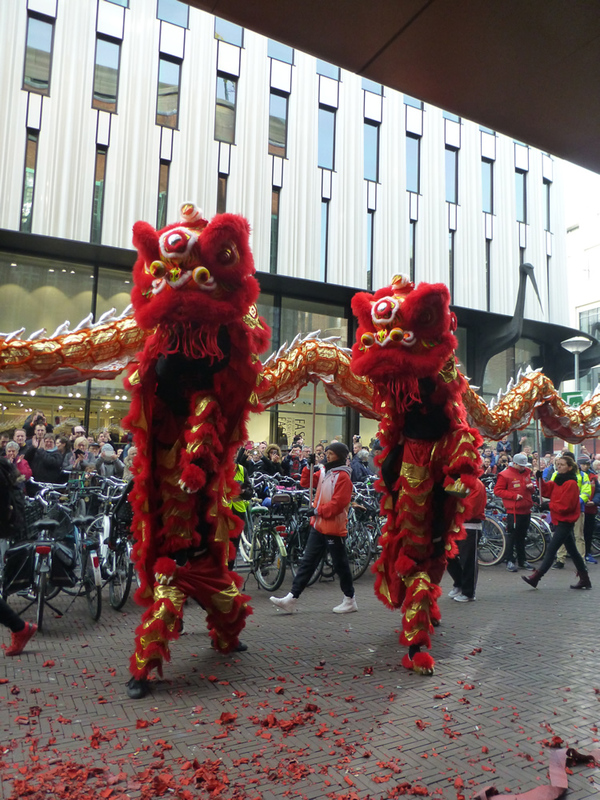 And the way to play the lion is adapted to that. 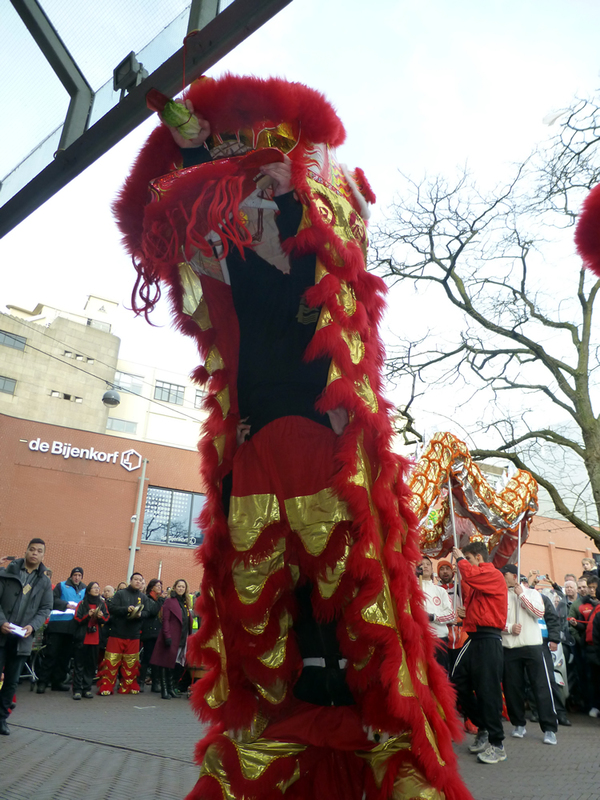 Traditional lion dance focusses on power and stability but the Malaysian way puts more focus on acrobatic jumps on heights upto 3 meters. After seeing this Sifu Jie and Mr. Wong started to specialize in this direction. First training was on low poles. 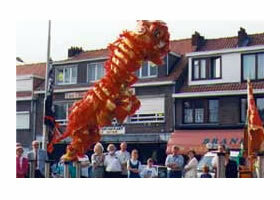 Later on higher poles were build. 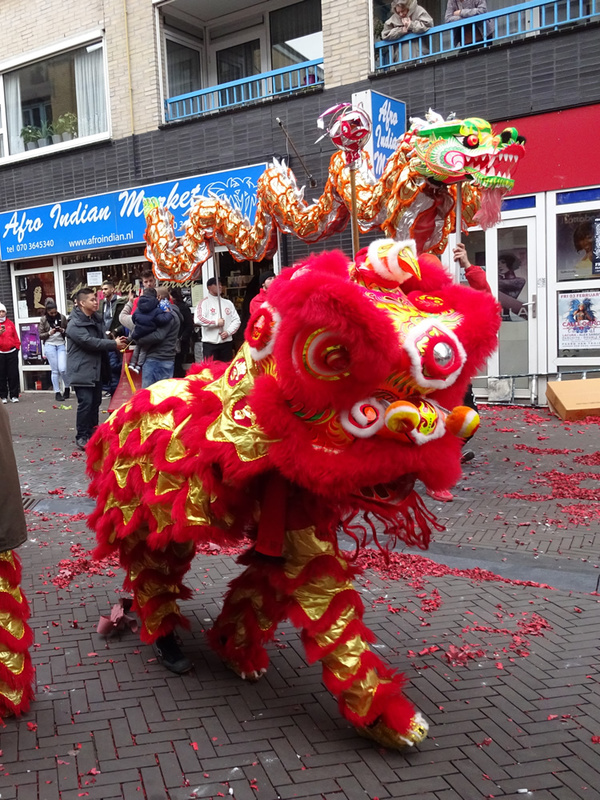 Nowadays the 'modern' Malaysian way to perform lion dance has become popular over whole South East Asia and competitions are held on a regular basis. 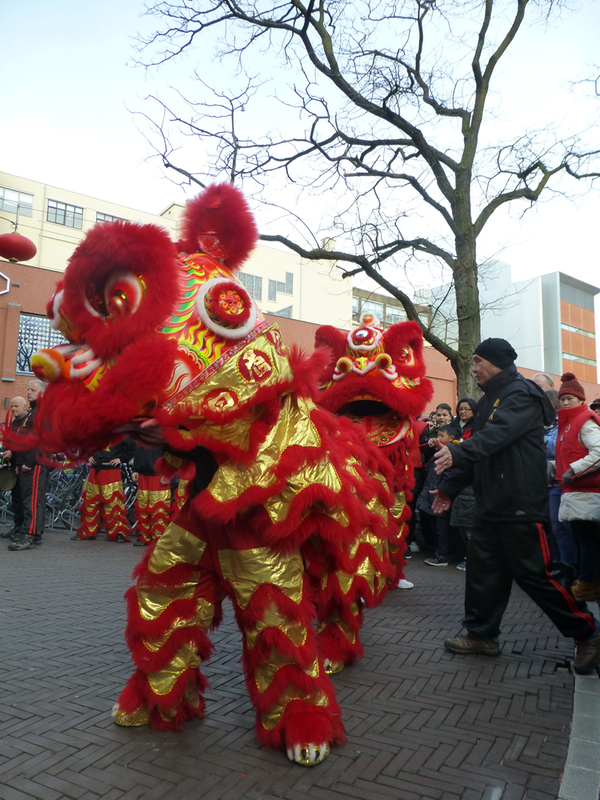 Sifu Jie has traveled abroad with his team for a number of occasions. 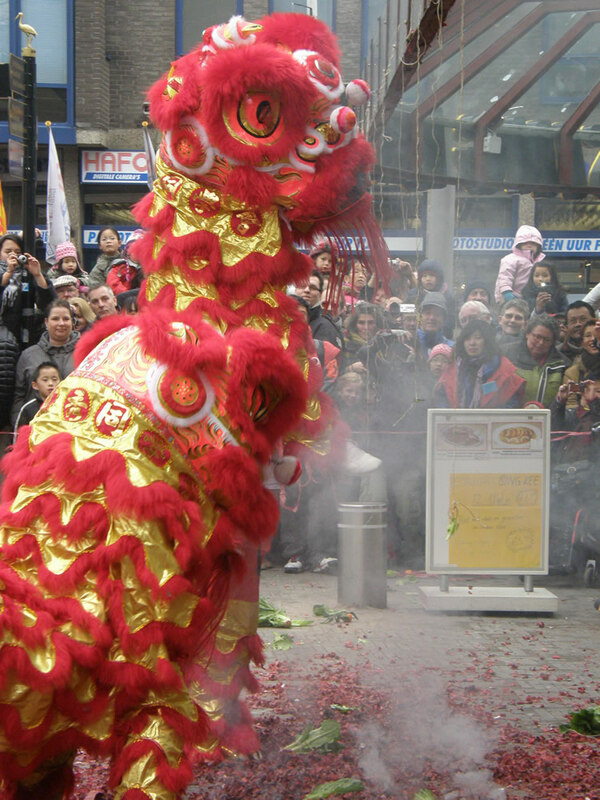 His team joined competitions in China and Hong Kong to gain experience. In Europe a lot of prizes were won. 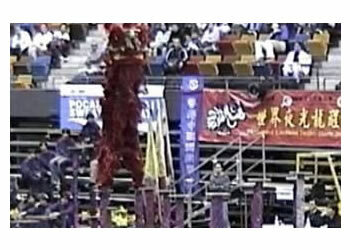 In January 2001 the Pak Mee Pai Team joined the Invitational Lion and Dragon Dance tournament in Hong Kong. 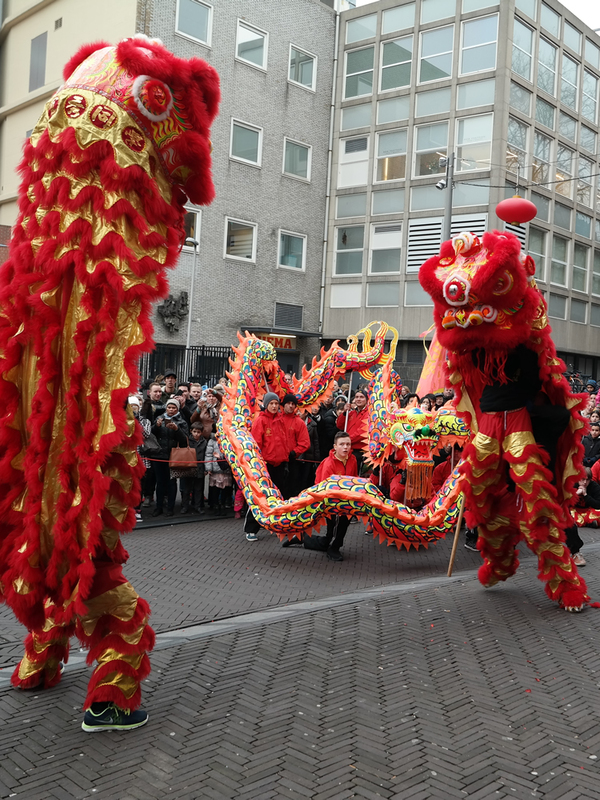 Every year, for about 25 years now the Pak Mei Kung Fu Student association performs with Chinese New Year in The Hague together with a combined team from Jie Kon Sieuw Pak Mei clubs from The Netherlands and Belgium.